Get prepared for the vet box with expert insight from both the veterinary and the horsemanship side. Land Rover U.S. Eventing Team veterinarian Dr. Susan Johns tells you what the vets check in the vet box at an FEI event, and international and Olympic groom Max Corcoran gives advice on what you need to bring and how to take care of your horse from the time you cross the finish line until the veterinary reassessment is complete. For more information about three-day eventing, please visit the United States Eventing Association and US Equestrian’s eventing page. Max Corcoran has been an international professional groom for more than 14 years. 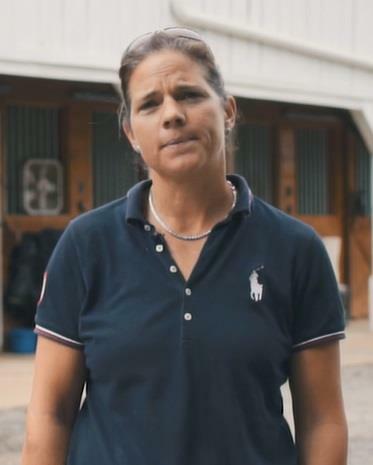 Formerly head groom for Olympic medalist Karen O’Connor as part of the O’Connor Event Team, Corcoran is expert at everything from managing a competition barn to traveling overseas to general horse care. She now freelances for top three-day event riders and their horses. Corcoran also teaches horsemanship clinics for US Equestrian’s Developing Rider program and for the United States Eventing Association. She’s also on the faculty of the Equine Management Training Center and Sandy River and is a Professional Riders Organization board member. She lives in Ocala, Florida. To learn more about Max Corcoran, follow her on Facebook or Wordpress. Dr. Susan Johns, the Land Rover U.S. Eventing Team veterinarian, is senior associate at Virginia Equine Imaging in Middleburg, Virginia. She works closely with national and international competition horses and served as the United States Equestrian Team veterinarian for both the 2008 and 2010 FEI World Singles Driving Championships. She has been an FEI competitor herself and has a strong interest in lameness, digital radiography, and the three-day event athlete.